Social media expert David Taylor. SHETLAND Business Week is a new event bringing together businesses, social enterprises, entrepreneurs and anyone with an interest in enterprise. It is designed to inform, connect and inspire those taking part. The event is being hosted by Highlands and Islands Enterprise (HIE), Business Gateway Shetland, the Federation of Small Businesses and Skills Development Scotland. A wide range of free workshops, seminars, briefings and networking sessions are on offer at various venues in Lerwick aimed at supporting new and existing businesses and providing opportunities for participants to come together to learn, network, exchange ideas and develop projects. Shetland Business Week will be held between 25 February and 4 March at various venues in Lerwick. With over 25 individual events taking place during the week, there is something for everyone. 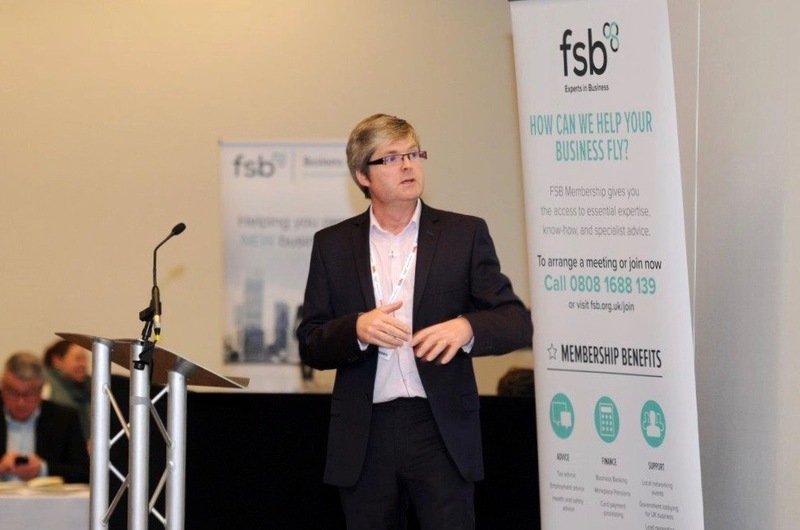 David Taylor, a leading expert on social media, will deliver a keynote seminar on the challenges and opportunities for all businesses around the use of social media in the digital marketplace. Key themes covered in the event include Scotland’s economic update from a Shetland perspective led by Professor Graeme Roy of the Fraser of Allander Institute, a session on the value of dialect branding, developing young people, social media, collaborative working and digital marketing. Other events will address topics such as issues for Shetland women in business, employee ownership, uses of satellite applications, international tourism, working with the academic sector and a focus on intellectual property. Three days within the programme will culminate in focused, specific industry panel discussions which will target the themes of “marketing outside of Shetland”; ‘challenges and opportunities of being a creative business” and “challenges and opportunities of being a food and drink business”. HIE development manager David Priest said: “Shetland Business Week is looking great and we hope to have an informative, engaging and interesting week for those in Shetland who are in business, looking to start a business or just looking to improve their business knowledge and get up to date. Shetland Islands Council project manager Neil Henderson said that traditionally the emphasis in business development had always been centred on funding and hard cash. “However there are a large number of support initiatives available to business and the variety of free events on offer within Shetland Business Week demonstrates the strength of the support available,” he added. Many more events are happening throughout Shetland Business Week. For more information or to enquire about attending any of the events, please email david.priest@hient.co.uk or visit www.shetlandbusinessweek.com to book a free event from the programme.